If you are looking for some lighter and healthier recipe options, no worries! We have your back. Light salads, filling smoothies that taste like you are cheating, warm comforting soup, and guilt free cookie dough! These are just a few of our favorites, but be sure to search the site for a whole lot more! Arugula, fresh strawberries, a light zesty dressing, and tofu “scallops.” This simple but delicious salad is packed with protein and will leave you full and satisfied! Remember the good ol’ days and Flinstone push up pops? 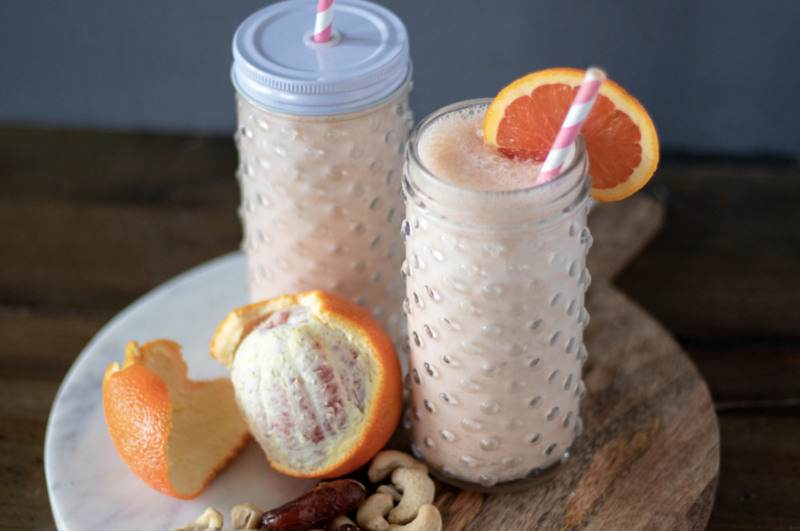 Well this smoothie is all the yummy goodness of a creamy vanilla, orange push up pop, without all of the junk! Add some vegan protein powder and you have a perfectly filling breakfast or lunch to get you through the day! In the words or RUN DMC - it’s tricky! That’s because hidden in this tasty, creamy, chocolate, peanut butter, banana, shake, is heart healthy beet, and a serving of greens and no one will even be able to tell! Don’t feel like cooking but want something filling, tasty, light, and fresh? Well, this raw zucchini noodle salad is just the thing! This salad is my summer time go to. Add some grilled tofu or tempeh, or leave it as is, and you have a quick and easy lunch or weeknight dinner! I love, love tomato soup! This one is smokey, savory, filling and quick to make. It also freezes well so it is perfect for meal prep! Want some edible cookie dough with none of the guilt? We can help with that! This cookie dough is made from chickpeas, nut butter, maples syrup, and vegan chocolate chips! It’s packed with protein, sweet yummy goodness, and none of the bad stuff!